North Korea’s Naenara website is back. The site went offline around early September when the dot-kp domain name space went down. 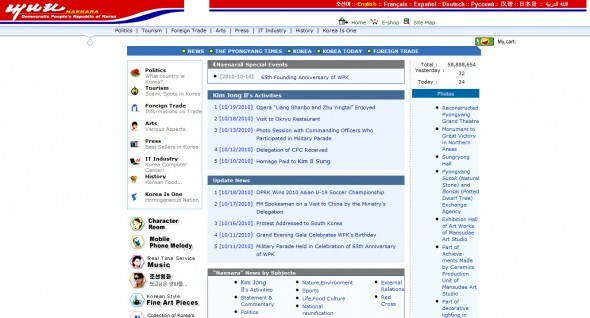 Naenara is run by Pyongyang’s Korea Computer Center and offers news, photos, shopping, tourism information and MP3 files from North Korea. It’s running inside North Korea’s recently-activated domestic IP address space, but isn’t working perfectly. Some of the links point to dot-kp addresses, which are still not working. It’s worth keeping an eye on.